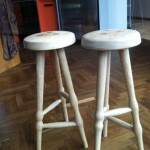 I visited friends in Ireland recently and although I was only there for a few days, managed to get two stools made. 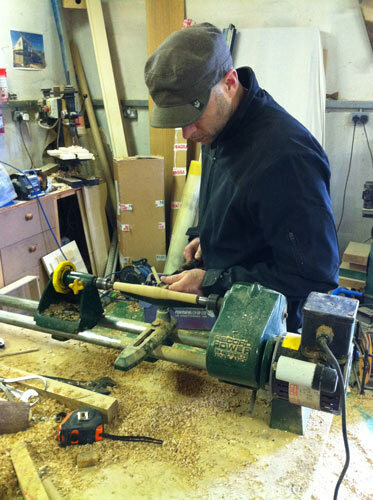 In fact, Toby and I went straight into the workshop as soon as I arrived and set up a little lathe he’s bought of a friend. 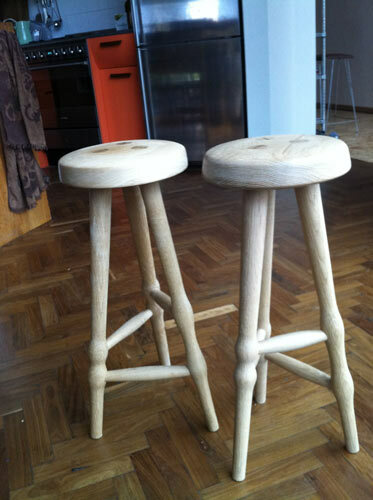 We decided to produce two stools to go into Toby’s kitchen. Toby Hatchett is a maker of beautiful kitchens. We have done several furniture projects together in the past and it was lovely to get a chance to work together again. 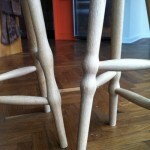 The two stools are made from oak. 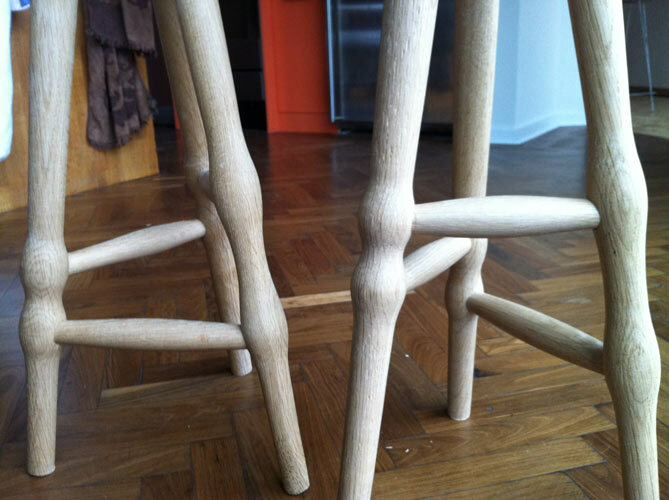 The bonelike lumps in the legs are as functional as they are attractive, providing extra material at the point where the footrest joins the legs. 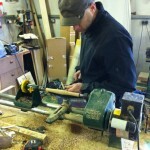 I’m glad to see my old lathe has been unearthed and put to service once more. An elegant pair.